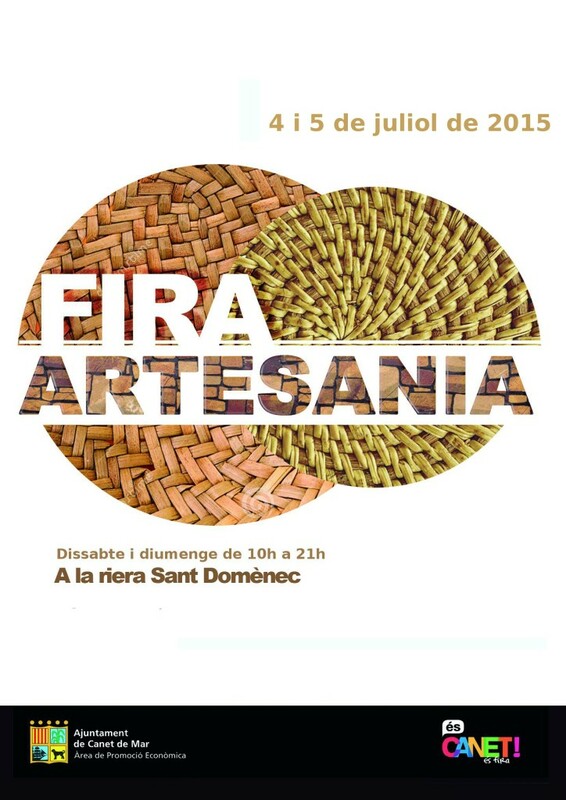 The weekend 4th and 5th of July we participated to “La Fira d’Artesania i Regal” in Canet de Mar. Economic Promotion, Trade and Tourism Department of the city, organizers of this fair, get us set our stand in the Sant Domènec’s Shore of this beautiful town. We are so thankful for that since we could continue explaining to everyone our initiative. 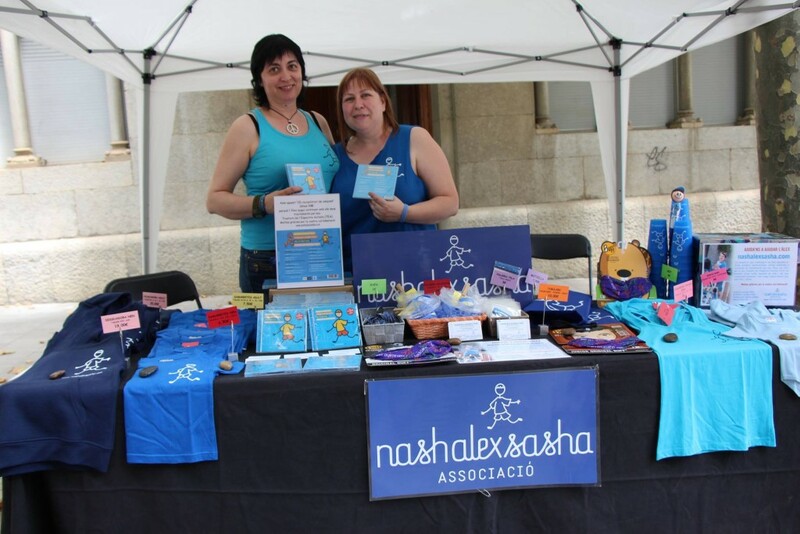 A year ago we participated in this Fair, so this year we could reencounter old friends and meet new people that accompanied us and were interested in our initiative and our stand. There were many kilometers, many hours spent, a lot of heat and fatigue, but this was not a handicap to continue raising money to help Àlex with his treatments to mitigate Autism Spectrum Disorder (ASD). Thank you very much, without your collaboration it won’t be posible! 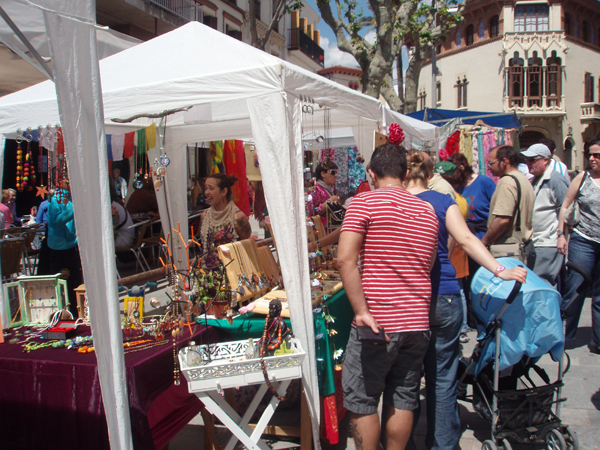 Next Saturday and Sunday, July 4th and 5th we will be at the Craft and Gifts Fair in Canet de Mar (40km from Barcelona). You will find some handmade products, food and many more articles such as: costume jewelry, clothes, decoration merchandise, silver jewelry, leather items, paintings and so on. You can find us Saturday and Sunday from 10AM to 9PM, just next to the “Hostalet de Canet” in the “Riera Sant Domènech, No.5” in the same street side but below the “Hostalet” towards the beach. 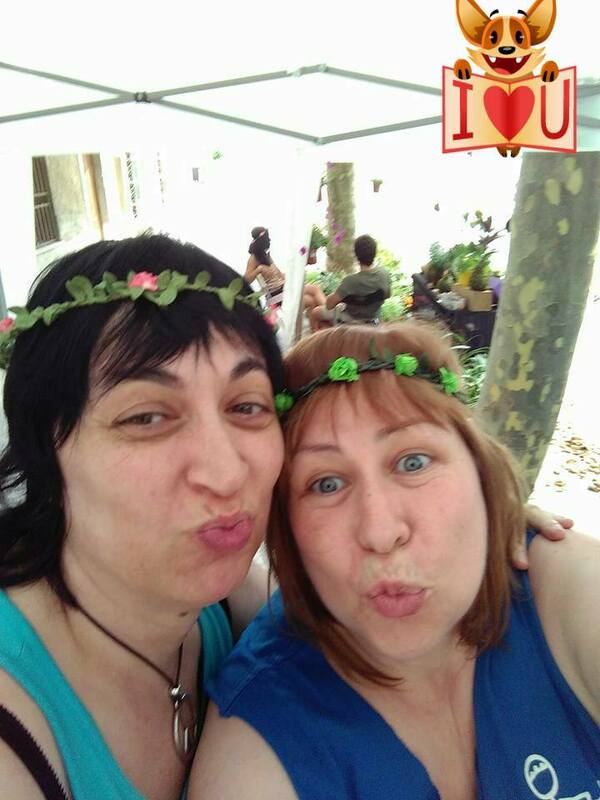 We will be there with our stand full of our association customized items (shirts, buffs, bracelets… and the compilation CD of songs in which we included a version of “Boig per tu” of the group “Sau” sung by Àlex. There are also other songs from Beth, Pep Sala, Jofre Bardagí, Vuit or Andreu Rifé among other artists who have also worked on it). All the money raised with all these articles will be used to pay for Àlex’s treatments to mitigate his Autism Spectrum Disorder (ASD) achieving a better quality of life and personal growth thus being able to have a better future. 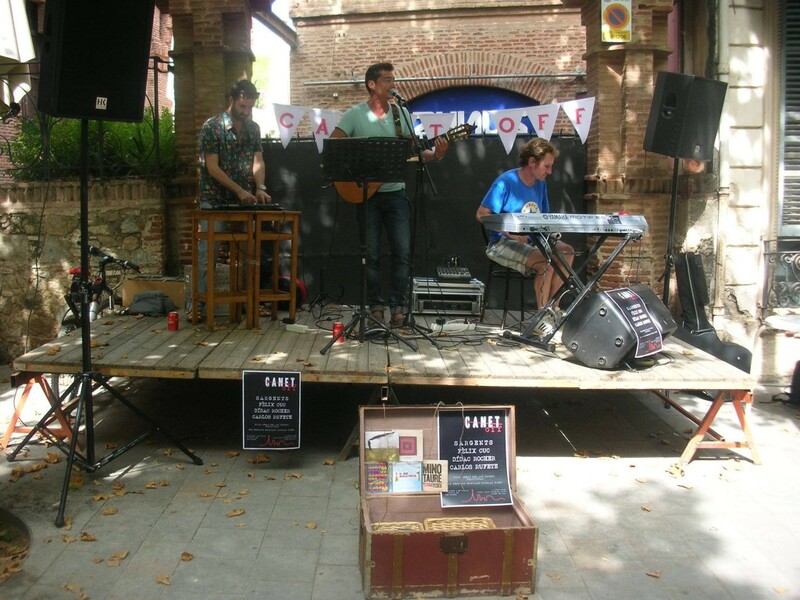 Also on Saturday the 4th Canet Rock 2015 is held, a large outdoor concert that will live its 6th installment. It is a festival full of music, a legend thanks to its four first editions (1975­-1978). This year it celebrates its 40 years from the first edition, and it has always taken place in Canet de Mar. All this makes this weekend’s Craft and Gift Fair a big party with performances and street shows. The restaurants, shops, bars and stores go out into the street along the “Riera Sant Domènech” stream and continue along the “Riera Gavarra” stream, taking members to “Pla d’en Sala”, the place where the festival takes place. 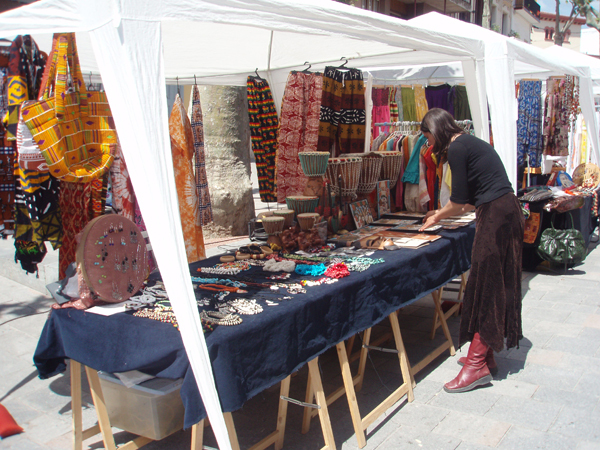 This Craft and Gift Fair has taken place in the “Riera Sant Domènech” stream during the first weekend of each month since the summer of 2004. For a while it was held on Saturdays only, but the success of exhibitors and visitors led it to last all weekend, just like nowadays. Our participation as an organization has been thanks to the Economic development, Trade and Tourism Department of Canet de Mar Council who organizes this fair. We appreciate their help and willingness to make our initiative known to citizens, visitors and tourists from this beautiful Maresme’s town.